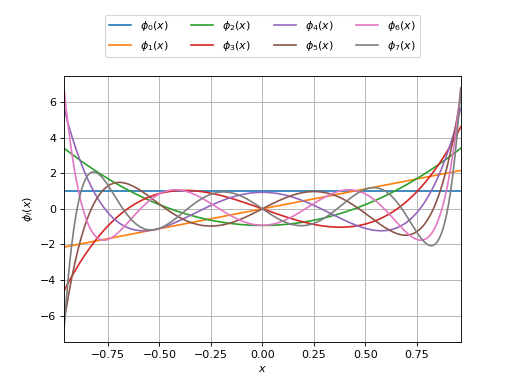 Jacobi specific orthonormal univariate polynomial family. If parameters_set == ot.JacobiFactory.PROBABILITY : default shape parameter of the Beta distribution. If parameters_set == ot.JacobiFactory.ANALYSIS : alternative shape parameter of the Beta distribution. Integer telling which parameters set is used for defining the distribution (amongst ot.JacobiFactory.ANALYSIS, ot.JacobiFactory.PROBABILITY ). build(degree) Build the -th order orthogonal univariate polynomial. buildCoefficients(degree) Build the -th order orthogonal univariate polynomial coefficients. buildRecurrenceCoefficientsCollection(degree) Build the recurrence coefficients. getAlpha() Accessor to the alternative shape parameter . getBeta() Accessor to the alternative shape parameter . getNodesAndWeights(n) Build the -th order quadrature scheme. getRecurrenceCoefficients(n) Accessor to the recurrence coefficients of the -th order. getRoots(n) Accessor to the recurrence coefficients of the -th order. Build the -th order orthogonal univariate polynomial. Build the -th order orthogonal univariate polynomial coefficients. Coefficients of the requested orthogonal univariate polynomial. Build the recurrence coefficients of the orthogonal univariate polynomial family up to the -th order. All the tecurrence coefficients up to the requested order. Accessor to the alternative shape parameter . Alternative shape parameter of the Beta distribution. The associated probability measure (according to which the polynomials are orthogonal). Build the -th order quadrature scheme. Associated with the orthogonal univariate polynomials family. The nodes of the -th order quadrature scheme. The weights of the -th order quadrature scheme. Accessor to the recurrence coefficients of the -th order. Of the orthogonal univariate polynomial. The recurrence coefficients of the -th order orthogonal univariate polynomial. 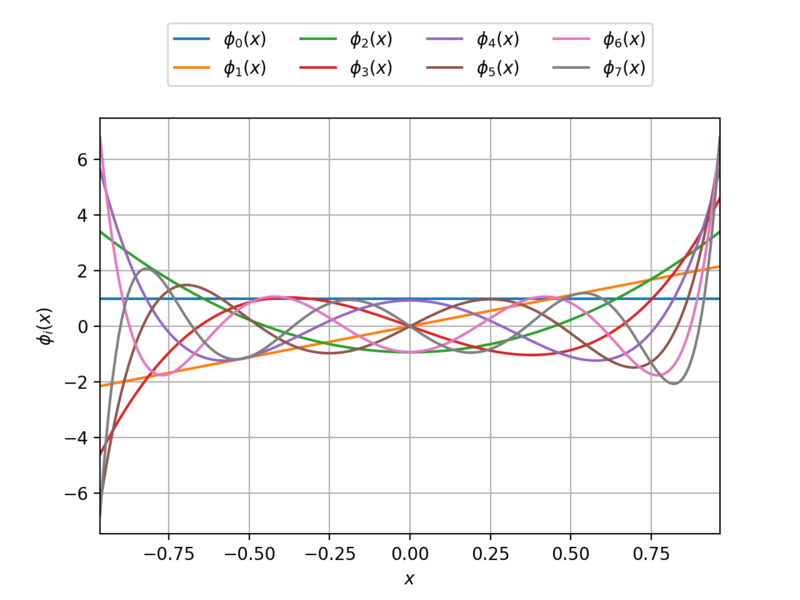 The roots of the -th order orthogonal univariate polynomial.